Anthony Tufano, CP, is the president of Mutual Orthopedics. He strives to achieve an optimal outcome for every individual patient by combining new technologies with the traditions that have made his long-standing practice a success. What brought you into the Orthotics and Prosthetics industry? My practice is third generation. First was my great-uncle in 1957, then my father, and now myself. What is now Mutual Orthopedics was officially founded by my father in 1978, and I took over in 2002. It is one of the oldest companies in the Long Island area. Some of our patients have been with us for forty years. 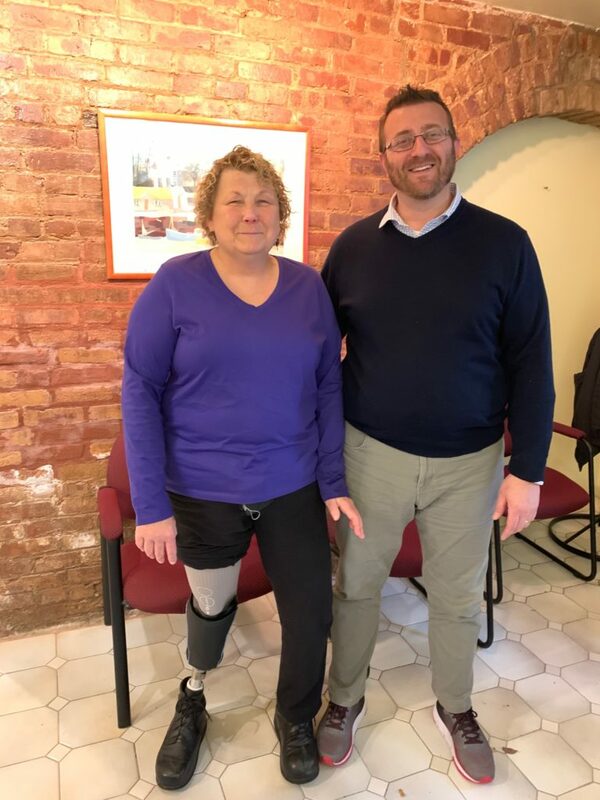 We have expanded to two offices, one in Brooklyn and one in Long Island, with a sizable prosthetics and orthotics laboratory at the Long Island location. How have you seen the industry change over the course of your career in prosthetics? The uptake in technology alone has changed the way we practice. Today, we have access to a whole slew of technology that we did not have previously. We as prosthetists can make people much more comfortable than we could years ago. A while ago, everyone had a standard prosthesis. That was the challenge back then. It was a lot easier to run the business before, but the technology wasn’t there. Currently, the struggles of operating a practice are related to the changing environment of health care, rather than technological limitations. Prosthetists are now better able to understand patient needs and fulfill many more of their dreams due to those advancements. As a prosthetist, you want to make your patients more comfortable than they were when they came in. You want them to be able to do things they haven’t been able to do before and to maximize the potential that they have. The best thing for me to see is a patient coming back after they’ve gotten their prosthesis with parts worn out because they’ve been using it so much. Can you describe the working relationship you’ve had with LIM Innovations? I have a long-standing patient who has been with Mutual Orthopedics since the 80s. About three years ago, he came to me wanting to be fit with the Infinite Socket. After meeting with Geoff, a representative from LIM, we set the process in motion and got the patient fitted. The Infinite Socket is fun to fit, and getting it just right for the patient is a great experience. Once the fit is flawless, it’s a slam dunk. 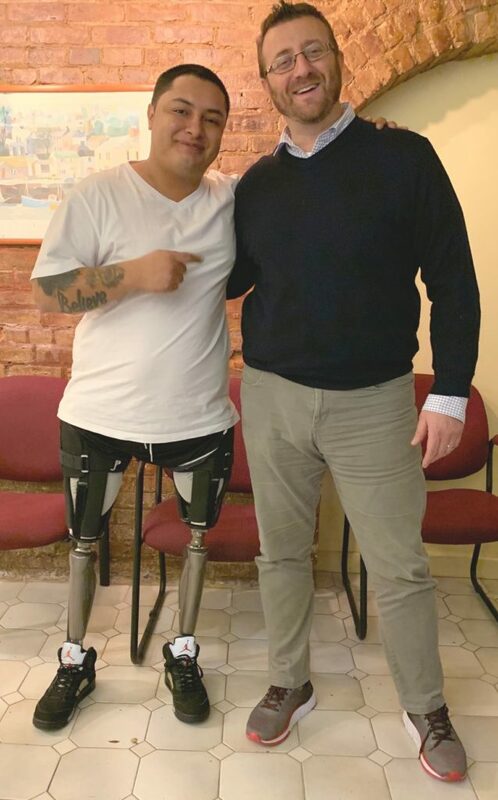 The appeal of working with LIM is they evolve with you and listen to the input of the prosthetist. It is a collaborative process. Like any product, it has the occasional pitfall now and then, but LIM works efficiently with the clinician to find the optimal resolution. What would you say are the benefits of the Infinite Socket versus a conventional socket? In my opinion, the beauty of the Infinite Socket is the adjustability. It allows for the socket to evolve on a continuous basis along with the patient’s residual limb. I can get patients to the next level of comfort by tweaking and adjusting to accommodate fluctuations in volume. The comfort of sitting that the Infinite Socket provides is a huge factor for patients as well. The flexible struts are a draw as well; having something that isn’t rigid when a patient is ambulating on it is a big deal. The Infinite Socket permits a dynamic fitting as opposed to a static one. I love the product.